Make your weekends special with hot, tasty waffles made in the Hamilton Beach® Belgian Style Waffle Maker. It’s a treat worth waking up for. Weekday mornings are usually rushed. Cereal, yogurt or toast to go is about the best most of us can do for breakfast. But the weekends are different. Take a few minutes to enjoy a meal and make it special with homemade Belgian style waffles. Crunchy on the outside and soft on the inside, served with a little bit of melted butter and maple syrup, it’s a delicious way to start the day. Homemade or store bought batter cooks to a golden brown on the easy to clean nonstick grids. Just wait for the Ready light to come on, and then add the batter. In 4 to 5 minutes, you’ll have two delicious waffles hot and ready to serve. When finished, the nonstick grids clean up with a simple wipe down. 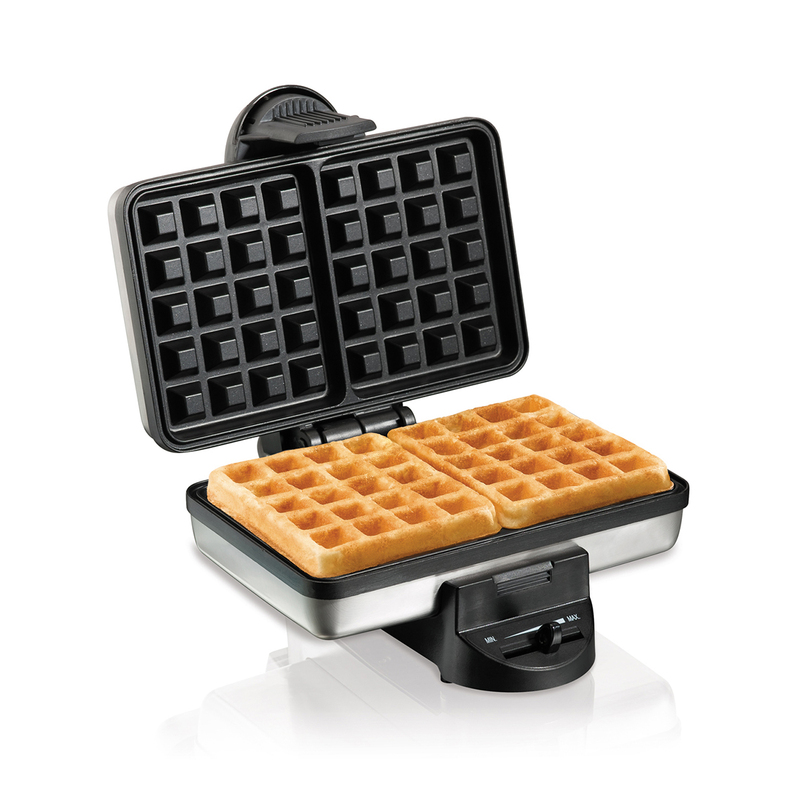 Compact, upright storage allows the waffle maker to fit easily into the cupboard or pantry …now that’s Good Thinking®. We all love waffles with butter and syrup, but there are many more options. Waffle recipes go from basic to gourmet. Try recipes for pumpkin, berry or chocolate waffles. Or, jazz up plain waffles by topping with whip cream, fresh fruit or apple butter. The Belgian style grids are made with a non-stick surface for easy removal and cleanup. 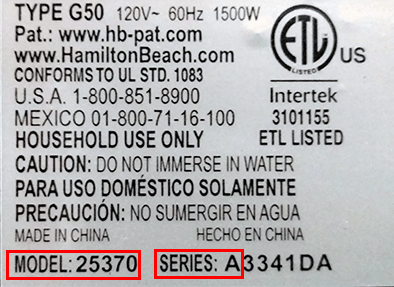 Power on & preheat lights located on top indicate when power is on and when to add batter. This compact design makes it easy to store upright in a cupboard or pantry. Make a few extra waffles to enjoy any day of the week! Most of us don’t have time to make homemade waffles every day, but waffles store easily in the refrigerator or the freezer. Just let them cool before packing in an airtight container. When you’re ready to enjoy them, simply reheat in the microwave, toaster, or regular oven.